The recipient of a 2006 MacArthur Foundation Fellowship (“Genius” Award), George Saunders is the author of a novel, four collections of short stories, a novella, a book of essays, and an award-winning children’s book. His long-awaited novel and most recent book, Lincoln in the Bardo, was published in 2017; which Colson Whitehead noted as: “A luminous feat of generosity and humanism.” In 2017, Saunders won the Man Booker Prize for his novel Lincoln in the Bardo. His collection, Tenth of December (Random House, 2013), was a finalist for the National Book Award, and winner of the 2014 Story Prize for short fiction and the 2014 Folio Prize, which celebrates the best fiction of our time. 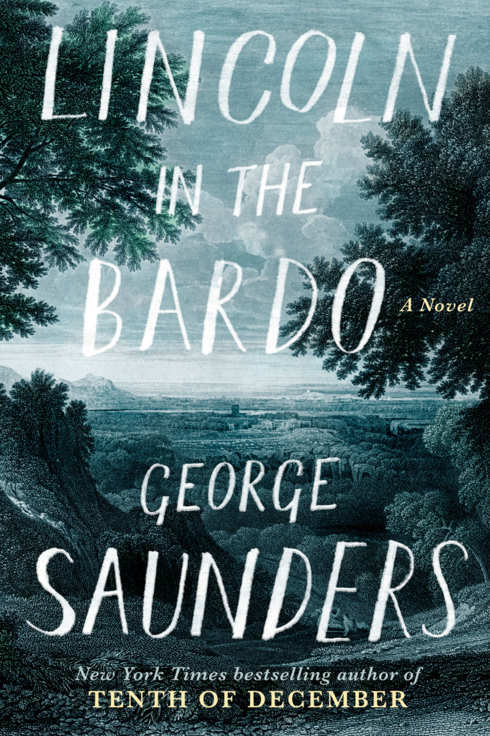 Chair of the Judges for the Folio Prize, Lavinia Greenlaw, said: “George Saunders’s stories are both artful and profound. Darkly playful, they take us to the edge of some of the most difficult questions of our time and force us to consider what lies behind and beyond them. His subject is the human self under ordinary and extraordinary pressure. His worlds are heightened versions of our own, full of inexorable confrontations from which we are not easily released. Unflinching, delightful, adventurous, compassionate, he is a true original whose work is absolutely of the moment. We have no doubt that these stories will prove only more essential in years to come.” Tenth of December was also named one of the ten best books of the year by The New York Times Book Review, and the collection, and Saunders’ work, was highlighted in a New York Times Magazine cover story. Saunders’s other collections include the bestselling Pastoralia, set against a warped, hilarious, and terrifyingly recognizable American landscape; CivilWarLand in Bad Decline, a Finalist for the PEN/Hemingway Award, and In Persuasion Nation, one of three finalists for the 2006 Story Prize for best short story collection of the year. Pastoralia, CivilWarLand in Bad Decline, and Tenth of December were all New York Times Notable Books. Saunders is also the author of the novella-length illustrated fable, The Brief and Frightening Reign of Phil, which takes us into a profoundly strange country called Inner Horner, and the New York Times bestselling children’s book, The Very Persistent Gappers of Frip, illustrated by Lane Smith, which has won major children’s literature prizes in Italy and the Netherlands. The Boston Globe lauds Saunders’ ability to “construct a story of absurdist satire, then locate within it a moment of searing humanity.” Congratulations, by the Way (Random House, 2014) is a book containing the funny yet uplifting graduation speech Saunders gave at Syracuse University, which went viral shortly after its delivery. Saunders’ book of essays, The Braindead Megaphone (2007), received critical acclaim and landed him spots on The Charlie Rose Show, Late Night with David Letterman, and The Colbert Report. Vanity Fair wrote of the book, “Saunders’s bitingly clever and compassionate essays are a Mark Twain-syle shot in the arm for Americans, an antidote to the dumbing down virus plaguing our country. Well, we live in hope.” His work appears regularly in The New Yorker, GQ, and Harpers Magazine, and has appeared in the O’Henry, Best American Short Story, Best Non-Required Reading, and Best American Travel Writing anthologies. In 2001, Saunders was selected by Entertainment Weekly as one of the one hundred top most creative people in entertainment, and by The New Yorker in 2002 and one of the best writers 40 and under. In 2006, he was awarded both a MacArthur Fellowship, for “bring[ing] to contemporary American fiction a sense of humor, pathos, and literary style all his own,” and a Guggenheim Fellowship. In 2013 TIME Magazine listed Saunders on its list of 100 Most Influential People in the World. He teaches in the Creative Writing Program at Syracuse University. George Saunders is the author of a novel, four collections of short stories, a novella, and a book of essays. His long-awaited novel and most recent book, Lincoln in the Bardo, was published in 2017 and helped him earn the Man Booker Prize. Saunders’s collection, Tenth of December, was the winner of the 2014 Story Prize and the 2014 Folio Prize. The recipient of a 2006 MacArthur Foundation Genius grant, his work appears regularly in The New Yorker, GQ, and Harpers Magazine, and has appeared in the O’Henry, Best American Short Story, Best Non-Required Reading, and Best American Travel Writing anthologies. He is the recipient of a Guggenheim Fellowship and was named one of the 100 Most Influential People in the World by TIME Magazine in 2013. Three months after George Saunders gave a convocation address at Syracuse University, a transcript of that speech was posted on the web site of The New York Times, where its simple, uplifting message struck a deep chord. Within days, it went viral and has been shared more than one million times. Why? Because Saunders’s words tap into a desire in all of us to lead kinder, more fulfilling lives. Powerful, funny, and wise, Congratulations, by the way is an inspiring message from one of today’s most influential and original writers. The breakout book from “the funniest writer in America.” George Saunders’s first foray into nonfiction is comprised of essays on literature, travel, and politics. At the core of this unique collection are Saunders’s travel essays based on his trips to seek out the mysteries of the “Buddha Boy” of Nepal, to attempt to indulge in the extravagant pleasures of Dubai, and to join the exploits of the minutemen at the Mexican border. 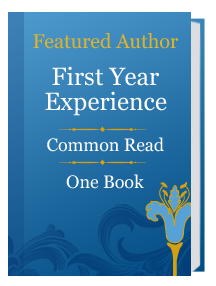 Saunders expertly navigates the works of Mark Twain, Kurt Vonnegut, and Esther Forbes, and leads the reader across the rocky political landscape of modern America. Emblazoned with his trademark wit and singular vision, Saunders’s endeavor into the art of the essay is testament to his exceptional range and ability as a writer and thinker. In a profoundly strange country called Inner Horner, large enough for only one resident at a time, citizens waiting to enter the country fall under the rule of the power-hungry and tyrannical Phil, setting off a chain of injustice and mass hysteria. An Animal Farm for the twenty-first century, this is an incendiary political satire of unprecedented imagination, spiky humor, and cautionary appreciation for the hysteric in everyone. Why was it, she sometimes wondered, that in dreams we can’t do the simplest things? Like a crying puppy is standing on some broken glass and you want to pick it up and brush the shards off its pads but you can’t because you’re balancing a ball on your head. Or you’re driving and there’s this old guy on crutches, and you go, to Mr. Feder, your Driver’s Ed teacher, Should I swerve? And he’s like, Uh, probably. But then you hear this big clunk and Feder makes a negative mark in his book. Boy oh boy, could life be a torture. Could life ever force a fellow into a strange, dark place from which he found himself doing graceless, unforgivable things like casting aspersions on his beloved firstborn. If only he could escape BlasCorp and do something significant, such as discover a critical vaccine. But it was too late, and he had never been good at biology and in fact had flunked it twice. But some kind of moment in the sun would certainly not be unwelcome. If only he could be a tortured prisoner of war who not only refused to talk but led the other prisoners in rousing hymns at great personal risk. If only he could witness an actual miracle or save the president from an assassin or win the Lotto and give it all to charity. If only he could be part of some great historical event like the codgers he saw on PBS who had been slugged in the Haymarket Riot or known Medgar Evers or lost beatific mothers on the Titanic. His childhood dreams had been so bright, he had hoped for so much, it couldn’t be true that he was a nobody, although, on the other hand, what kind of somebody spends the best years of his life swearing at a photocopier? Not that he was complaining.